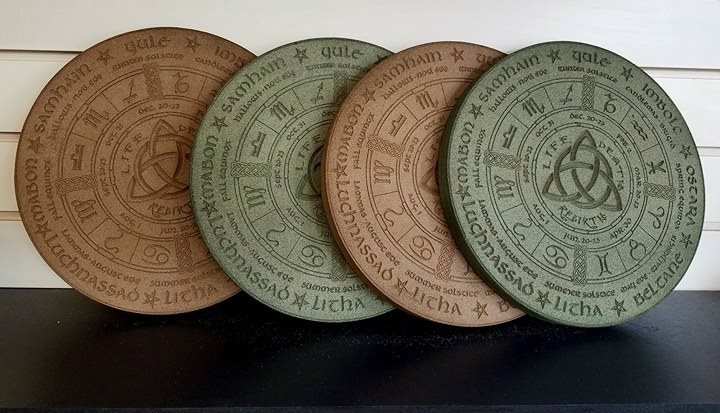 Just in time for Halloween (Samhain). 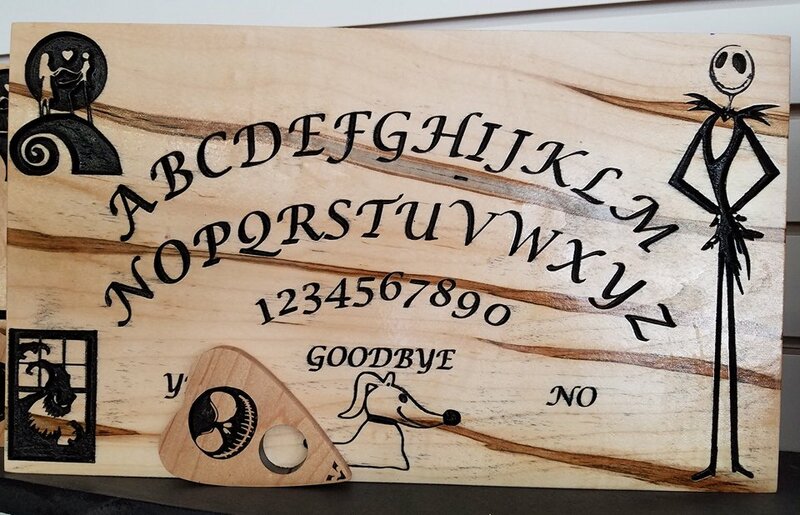 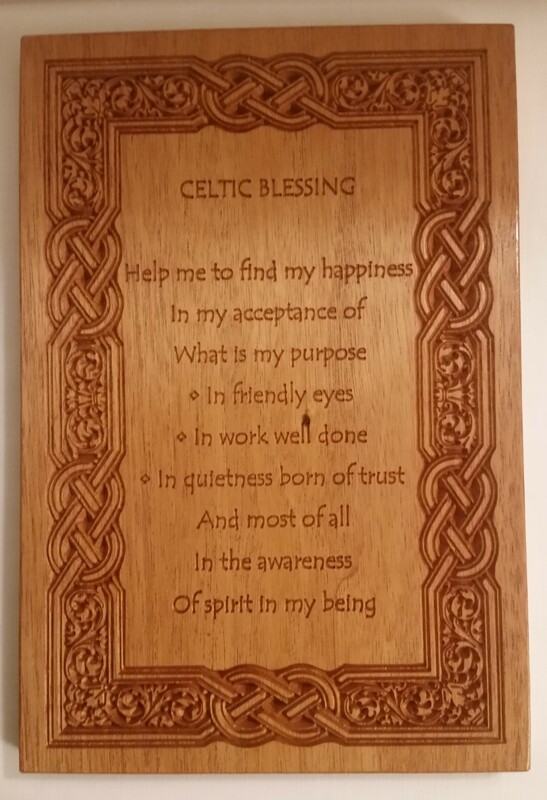 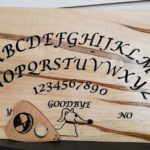 This spirit board is made out of one solid piece of Ambrosia Maple and the natural streaking adds to the haughtiness of it. 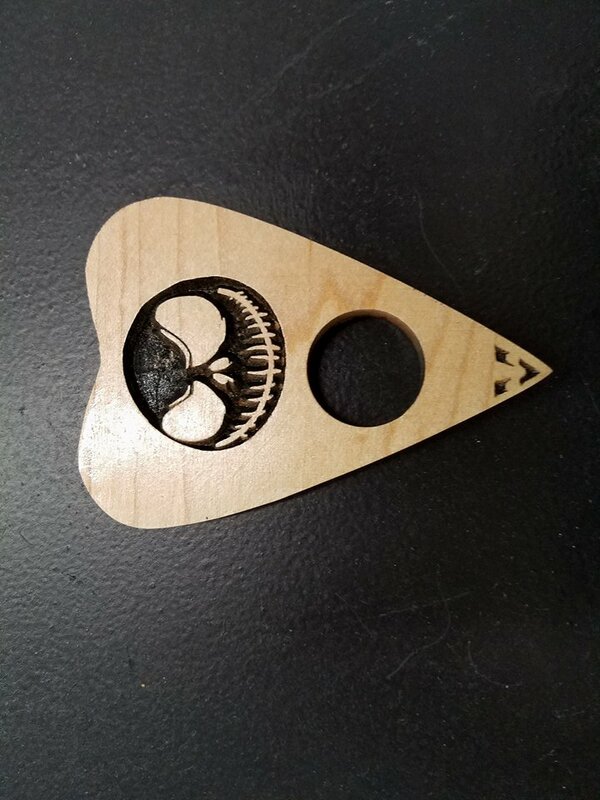 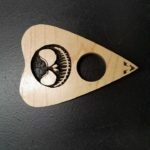 The planchette is 4″ long and at its widest is 2.75″ and is a .25″ thick.